We now have $2,000 in match donations ready for Giving Tuesday! This fall, we are gearing up for GivingTuesday to kick off our end-of-year campaign. If you don’t know, #GivingTuesday is recognized on Tuesday, November 27–following Thanksgiving, Black Friday, and Cyber Monday–and has inspired many to celebrate the spirit of giving inherent in the season. Primarily a one-day giving event on social media, it will be an important part of our EOY fundraising this year. It will provide a wonderful opportunity for new homeschool families and those on social media to get involved and support the vision of homeschool freedom in Oregon. 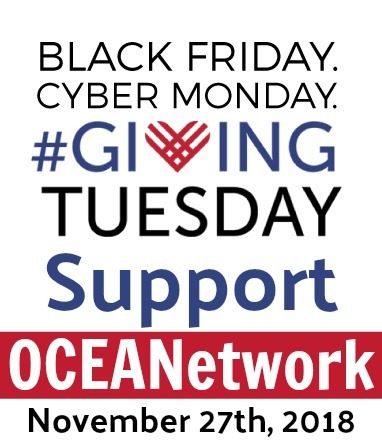 As a part of the #GivingTuesday event for OCEANetwork, we plan to implement double-match challenges. People LOVE the idea that their donation will go twice as far! Depending on funds, we will run two or three, 30-minute challenges throughout the day, and we anticipate that those periods will bring in the bulk of our Giving Tuesday donations. Thank you for generous, ongoing support of OCEANetwork!